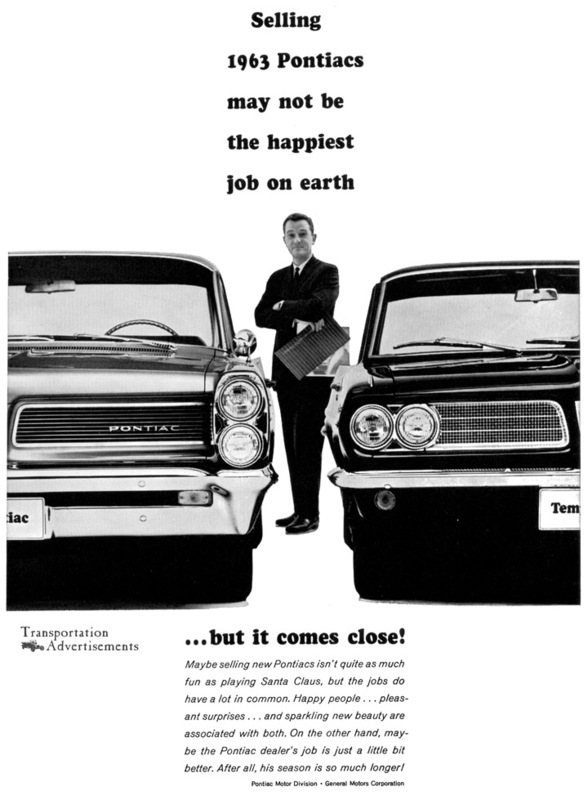 Selling 1963 Pontiacs may not be the happiest job on earth…but it comes close! Maybe selling new Pontiacs isn’t quite as much fun as playing Santa Claus, but the jobs do have a lot in common. Happy people…pleasant surprises…and sparkling new beauty are associated with both. On the other hand, maybe the Pontiac dealer’s job is just a little bit better. After all, his season is so much longer! Transportation Advertisements is powered by	WordPress 5.0.4 and delivered to you in 0.459 seconds using 32 queries.